There was a lot of hoopla raised when The Donald insulted Carly Fiorina's looks. The "look at that face" comment was criticized as sexist, which Fiorina brilliantly turned around in her own political ad. 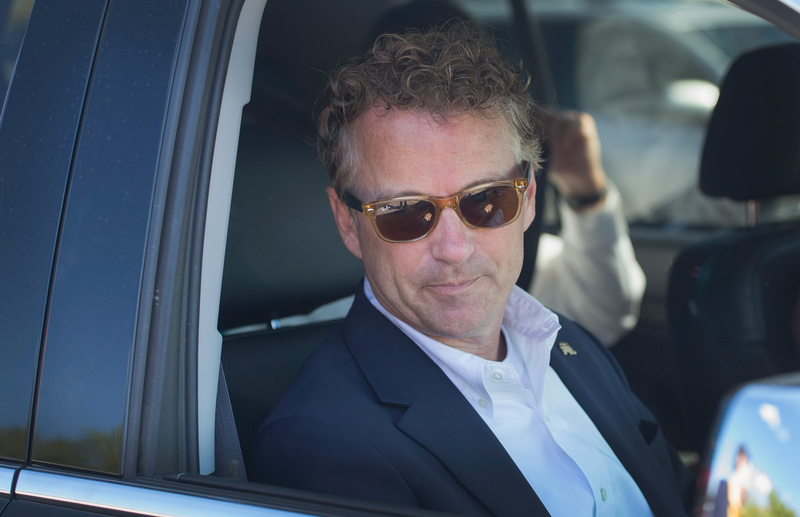 But when Donald Trump insulted Rand Paul's looks, he proved that he isn't just sexist, but also universally petty. Just after Fiorina softballed a question on whether she trusted Trump with the country's nuclear codes, deferring her judgment instead to the American voters, Trump got his turn. Fiorina, for her part, did get one shot in at Trump, saying "I think Mr. Trump is a wonderful entertainer, he's been terrific at that business." Oh man, now it's on. Trump was up next. Did he go after Fiorina again? Did he insult her outfit or call her weak? Nope. He immediately turned his attention to ... Rand Paul? BOOOOOOM. You say Trump is sophomoric? Let him prove it. Ostensibly, Trump did insult Paul's looks. The upside? He didn't go in on his ramen noodle hair. So there's that. But there is at least one (sorta?) positive thing through this: Trump proved that he doesn't just insult Carly Fiorina on her looks because she's a woman! So he's not a sexist, right? No, he probably is. He's got a long track record of going after women's looks (Rosie O'Donnell comes to mind). Trump is a savvy businessman, and pretty damn good at PR. He likely insulted Paul's looks just so people would believe that he wasn't targeting women specifically. So in that regard, he's kind of a genius, because here we are talking about the very subject. But just because we're talking about it doesn't mean that we actually buy it.